We are pleased to present below all posts archived in 'September, 2014'. If you still can't find what you are looking for, try using the search box. 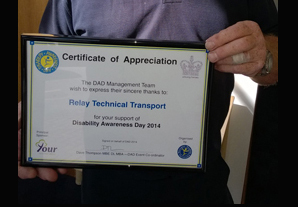 Here at Relay, we were delighted to receive a certificate of appreciation from Disability Awareness Day. 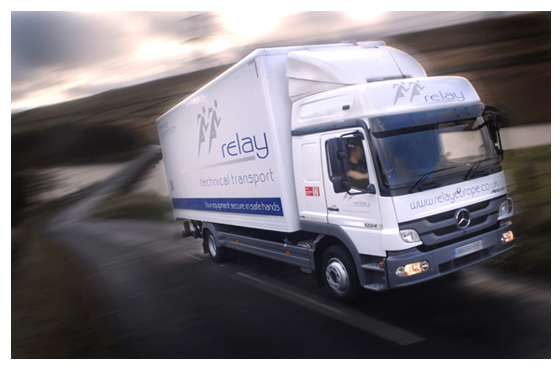 This fantastic show is a great day out for everyone and once again Relay’s Warrington depot was doing its bit to make it a resounding success. Relay is currently undergoing an exciting and dynamic period of growth and development. This creates both challenges and opportunities with our infrastructure and team.